Cosmology is the physics of the universe. 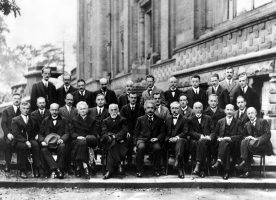 As far as the geometric aspects are concerned it is a chapter in GR focussing on solutions to Einstein’s equations which are spatially homogeneous. The best known solution and the one most relevant for our own universe is the Friedmann-Robertson-Walker (FRW) solution which is not only homogeneous but also isotropic and roughly describes the universe on very large scales beyond the extensions of galaxies, clusters of galaxies and super clusters and correctly describes its expansion. 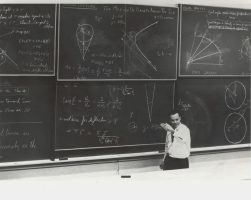 But Cosmology is much more than that: Cosmologists nowadays can precisely measure the inhomogeneities and anisotropies in the universe and describe how they came into existence when using the machinery from classical GR and QFT. This is the theory of structure formation. There are many puzzles that we face today. Very recent measurements, among others by the satellites WMAP and PLANCK, which focus on the Cosmological Background Microwave Radiation (CMBR), show that the universe is filled with only \(5\%\) baryonic matter, \(25\%\) dark matter that clumps around galaxies and \(70\%\) of dark energy. The adjective “dark” just indicates that we do not know what it is, we just know that it is there because both leave its trace through their gravitational interaction. Dark matter could be a yet unknown particle in the minimal supersymmetric extension of the standard model while dark energy could be a cosmological constant. Another puzzle is the horizon problem: If we assume that shortly after the big bang the dominant energy component was radiation which would be the case if there was no matter else than that contained in the standard model of elementary particle physics, then it is not easy to explain why the universe is so isotropic. 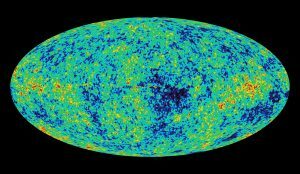 This is because the visible part of universe was causally highly disconnected when it was created and even when the CMBR was created some \(300~000\) years after the big bang, not sufficient time had elapsed to explain why possible initial anisotropies should have evened out if no signal can travel faster than light. To solve the puzzle one can speculate on the existence of an exotic field that that has have long decayed. It is called the inflaton because it inflated the universe at an exponential rate, thus removing the causal (horizon) problem. 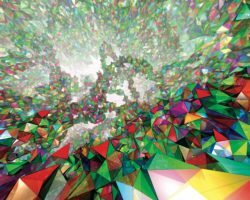 Quantum Gravity could remove the horizon problem in a more drastic way: Since it should remove the big bang singularity, there should be a time before the big bang and thus the whole universe was always causally connected. 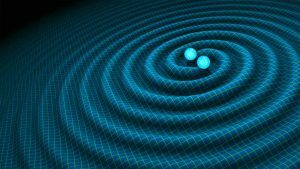 Quantum Gravity also might add insight to the dark energy problem because the cosmological constant term would also be quantized. 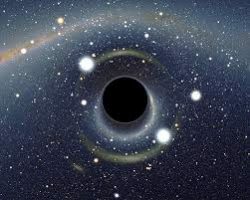 In general, cosmology is interesting for Quantum Gravity because the big bang singularity can in principle be seen indirectly by gravitational wave detectors of sufficient resolution while black hole singularities are hidden by the event horizon.